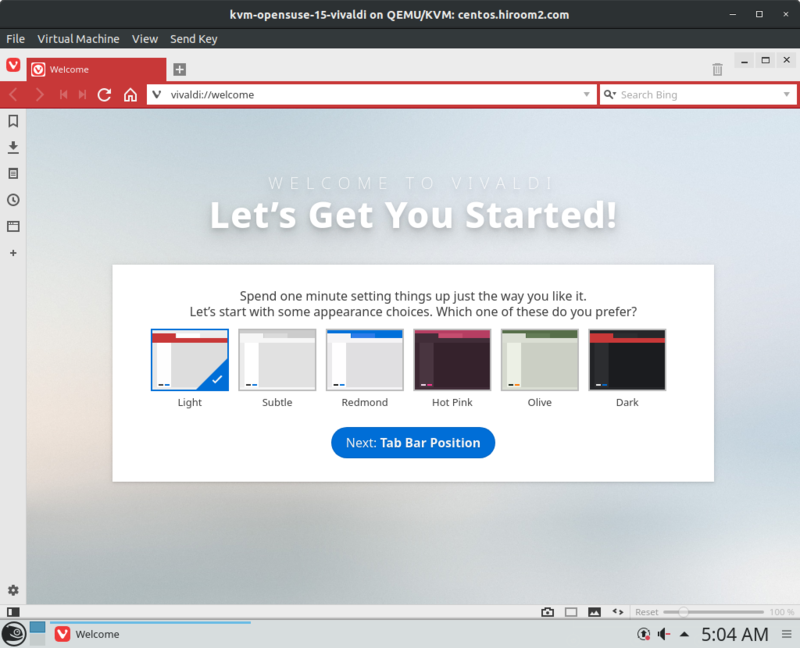 This article will describe installing Vivaldi. 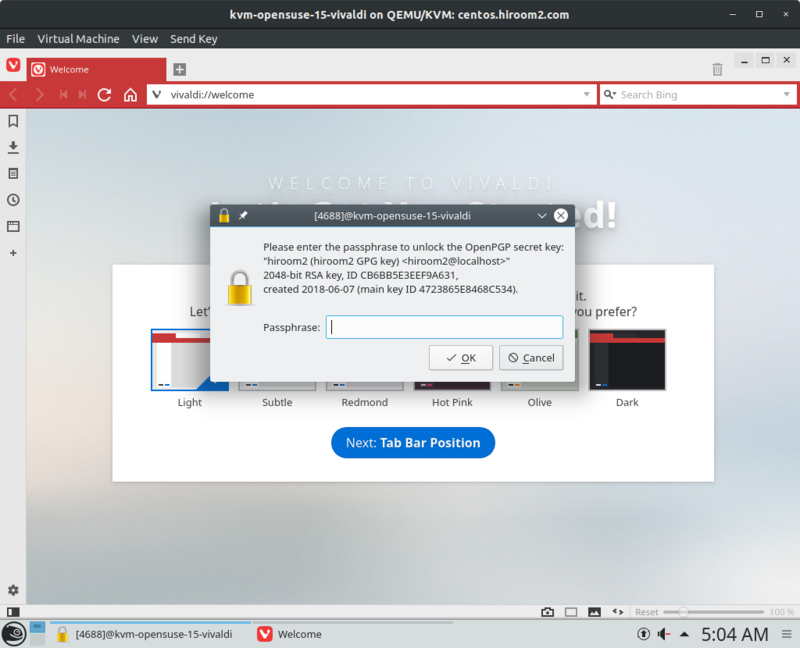 Install vivaldi package. If you use GPG key to encrypt sensitive data, please create GPG key. # Install flash if you need. KDE Wallet will be popup. 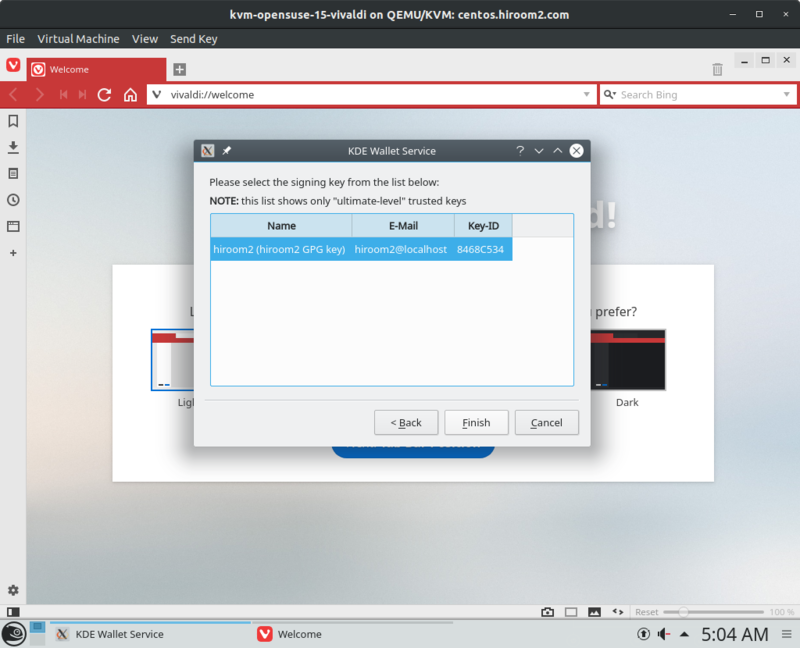 Select KDE Wallet type to GPG key and click "Next". Select GPG key and click "Finish". You need to input this passphrase one time when running chromium but you can omit after this. But when KDE Wallet service is restarted, you need to input this passphrase again.